Members of the indigenous Ka’apor community in Brazil’s northeastern state of Maranhão are risking their lives to expel loggers from their land in the Amazon forest. 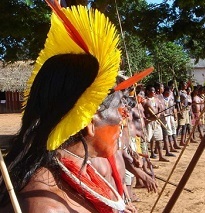 Amidst the conflict, an indigenous leader was assassinated. While the Judiciary expanded gay rights, the Legislature was considering a statute that limits the definition of a couple as only that of a man and woman. 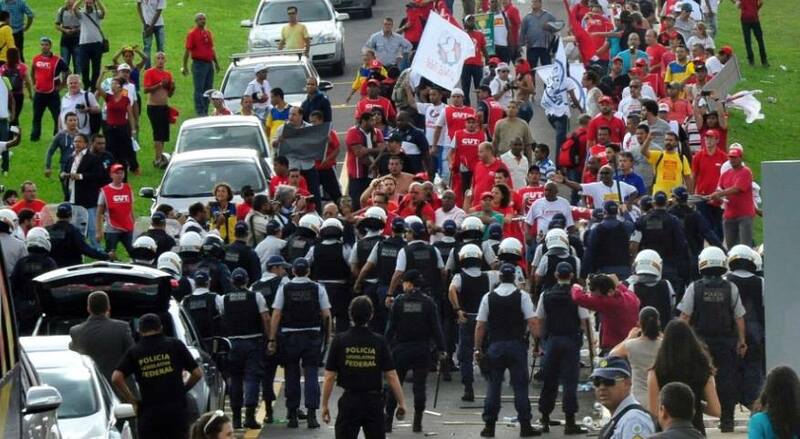 At the center of the debate are the anxieties of Brazilian society. 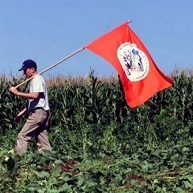 Brazil’s Landless Workers Movement (MST), one of the longest standing and largest social movements in Latin America, continues to be a relevant force in the lives of everyday communities and families. One could say that the new Rousseff government began to deepen its right-wing, neoliberal turn with her choice of ministers. 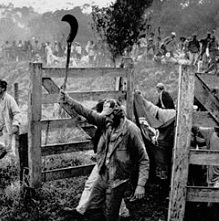 In the name of governability, Rousseff opted for raffling the already fragile working-class and social movement base of the Workers’ Party (PT) by nominating people such as agribusiness representative Kátia Abreu for the minister of agriculture, and Joaquim Levy, an economist who ensured that the private bank Bradesco had its most profitable year in 2014, as finance minister. 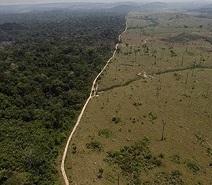 In Brazil water and electricity go together, and two years of scant rainfall have left tens of millions of people on the verge of water and power rationing, boosting arguments for the need to fight deforestation in the Amazon rainforest. In São Paulo, bones in a clandestine grave from a cemetery deteriorate while awaiting identification. 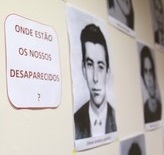 Among the unidentified skeletons are disappeared political activists, victims of the infamous Death Squad of rogue police active in the 1960s and 1970s, and children who died in a 1970’s São Paulo epidemic of meningitis, which the dictatorship tried to cover up. 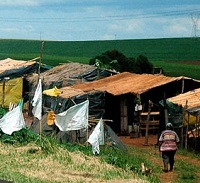 A family of six squatting land in northern Brazil was killed on the morning hours of February 17th. 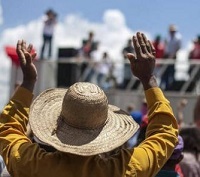 This land conflict is emblematic of the larger struggles over land that Brazil’s Landless Workers’ Movement (MST) has been involved in for decades.